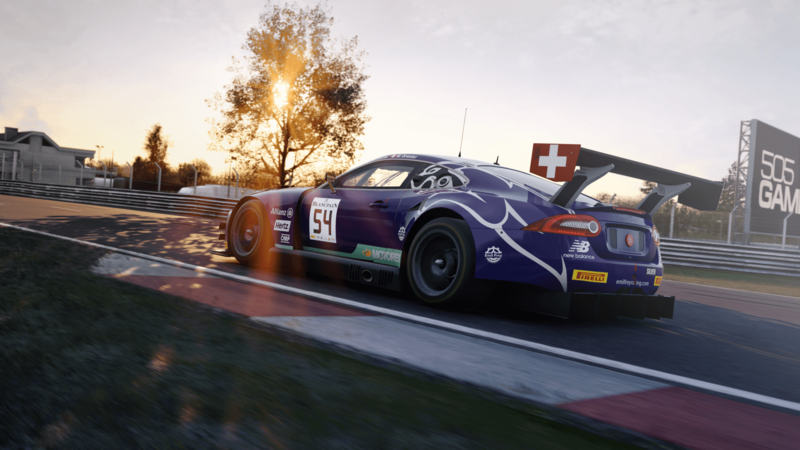 Discussion in 'Assetto Corsa Competizione' started by GTPNewsWire, Apr 12, 2019. This article was published by Kyle Patrick (@SlipZtrEm) on April 12th, 2019 in the Assetto Corsa Competizione category. JoueurGT and andrew1990 like this. This game is masterclass in driving physics, driving pleasure, sounds and graphics. Lets hope Kunos will iron out the remaining issues and that ACC will finally get the recognition it deserves. Its so quiet around this title here at GTP its almost scary. Brend, Fabr_123, Mirror_man and 1 other person like this. Can't wait for the full release! All the other cars and tracks combined with the weather, physics, sounds and driving experience will put it right up there. Makes it feel strange to go back to GT3 cars on GT Sport after it! I think the majority of folks here are on console, but it's been suprisingly quiet around other sites as well. Very excited for this and I really hope we'll be able to at least use plug ins such as crew chief. The stock spotter is putting me to sleep. I think there's a bit more going on in established groups on Discord etc. Being on PC for now means there will be less talk about it - if they get the console version to play as well then they'll be onto something special. Game is solid but there’s plenty of good single player racing games. If the online has great matchmaking like iracing and GT Sport I’ll play it. If it’s just lobbies I won’t be interested, you can have great racing in any racing game if you are playing in lobbies. Even on PC the active player numbers have been low. Interest peaks with each update but then falls off after a week or two. For me ACC has improved a good deal since first EA release, but there is still something missing in the driving experience (naturally others will feel differently). Of course with full release player numbers will certainly increase but it will be interesting to see if AC players make the switch. So far they don't seem to have done so. low compare to what? ACC already has more players than R3E and about equal to RF2, but yes compare to Forza Horizon, pretty low. For a Early Access SIM, I think they are doing quite good. I said "have been low" not "are low". As recently as the beginning of March they have been as low as Automobilista with daily peaks well below 200. As I stated, the pattern with all previous patches is numbers peak after release of a patch, then fall off significantly after a week or two. Patch 0.7 only came out 10 days ago so numbers are up again currently. Time will tell if the pattern of earlier patches is repeated. Maybe its turned a corner. Maybe numbers will halve as they did with the last patch. It's a much more focused sim with only 1 motorsport discipline, so I'm not expecting big numbers here. About the same number as rF2/RRRE/AMS sounds about right. AC being a sandbox game is always going to be more popular, even years from now. I think we tend to forget that sim racing is a small pie of the whole gaming playerbase, and given the variety of sims on the market today, that slice of pie is always going to get smaller for each game. Its so quiet around this title here at GTP its almost scary. As I tried to explain above, when I say low, I was referring to the long periods of time when peak player numbers were below 250, which is about 7% of ACs player numbers, and 30% of rF2 player numbers, rather than the numbers on Sunday which were around 80% of rF2s. I think this is one factor why has been so quiet concerning ACC. It is only one discipline, but it is arguably by far the most popular discipline in sim racing. You would hope that by offering class leading graphics and sound and hopefully physics, laser-scanned tracks, iracing-type ranking and matchmaking (to be confirmed), dynamic track and weather, AI optimised for one kind of car, all for a very competitive price (particularly if bought at the start of EA) you could attract a good player base from aging rivals. If you are looking to buy a new sim in 2019 what else are you going to buy? As a fan of older single discipline titles such as Grand Prix Legends, GT Legends and GTR2, I hope they succeed. I was watching the Blancpain series on Eurosport the other day and saw a Porsche. I want that Porsche in ACC.